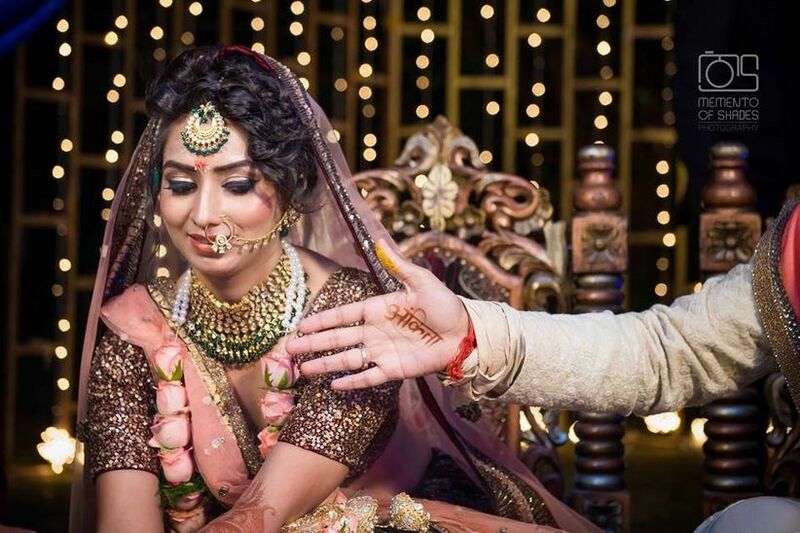 6 Bridal Hairstyles to Flaunt at Each of Your Wedding Ceremonies | Wedding Tips ARE YOU A VENDOR? Discover all the bridal hairstyles trending these days, whether timeless and classic or modern and stylish. Bookmark the ones you want your makeup artist to replicate. The most popular bridal hairstyle is a high bun with strings of flowers wrapped around it. 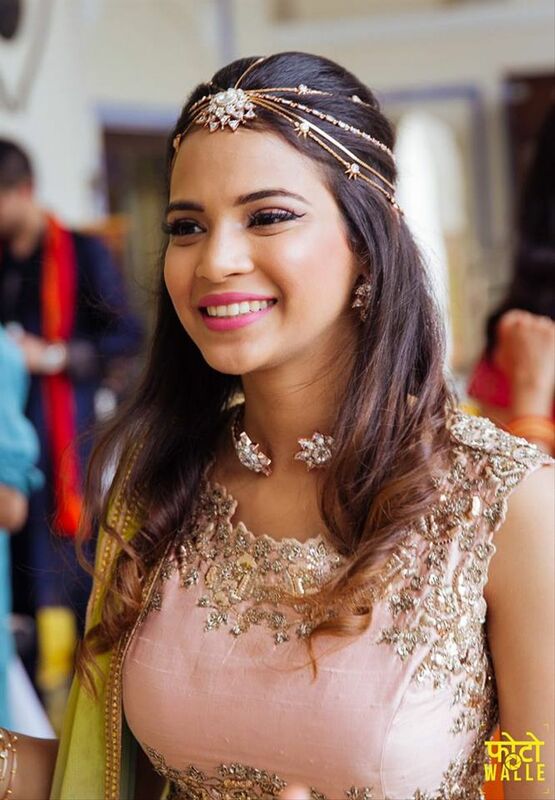 This bridal hairstyle is popular for a very practical reason - it holds the Dupatta up! 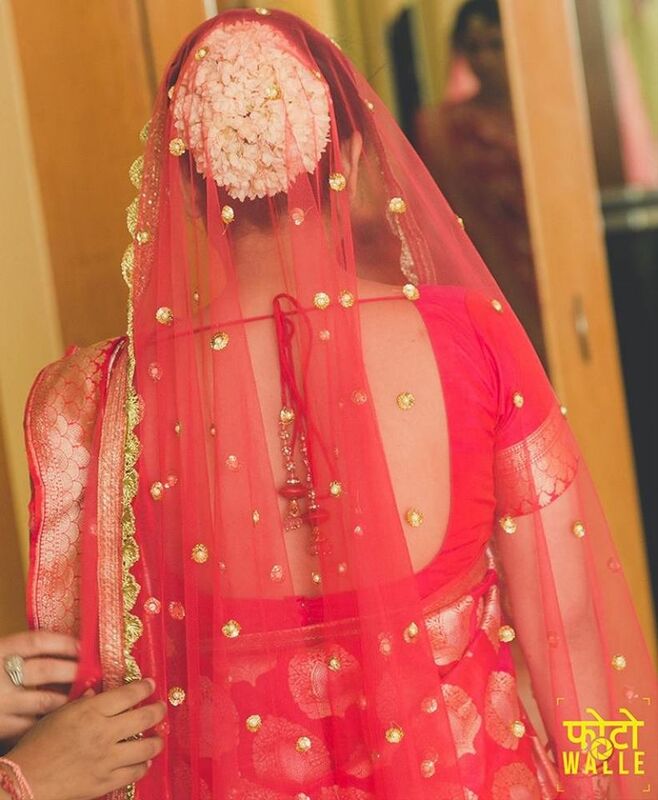 If you are wearing a lehenga or even a saree with a Dupatta, chances are you will be covering your head. 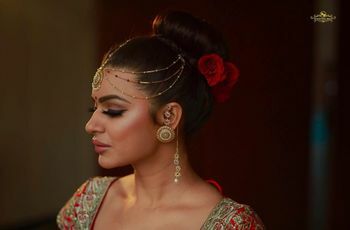 A high bun with flowers added for volume, it is easier to keep the Dupatta in place without having to poke too many pins to hold it. The best part is, it also looks very beautiful and traditional. Flaunt the Gajra in style or add tiny wisps of baby breaths to your hair, whatever suits your look. 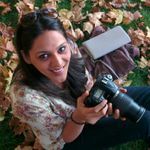 Do ask your photographer to take a bun shot through your Dupatta for your bridal shoot. Even with the bun, you have different choices. You can keep your hair slick back or create a messy look on the front. Twisting the hair on the sides or curling the front hair also looks equally beautiful and traditional. You can add volume and height with a puff and add Swarovski hair accessories only in the front portion that is not covered by the Dupatta. This also depends on what you are wearing, how heavy the Dupatta is and how much you want to cover your head. You can even go for a side bun that looks gorgeous when it's messy. Another very popular wedding hairstyle is the messy side braid. A loose braid with flowers or other hair accessories or a fishtail braid with small pearls or Swarovski looks very elegant. This is especially great for wedding events like the reception, Sangeet or Mehndi. If you are not covering your head with a Dupatta on the wedding day, you can sport this look on D-Day too. Adorn it with flowers like baby breaths and carnations, basically, any small flower would do to amp up your ensemble. 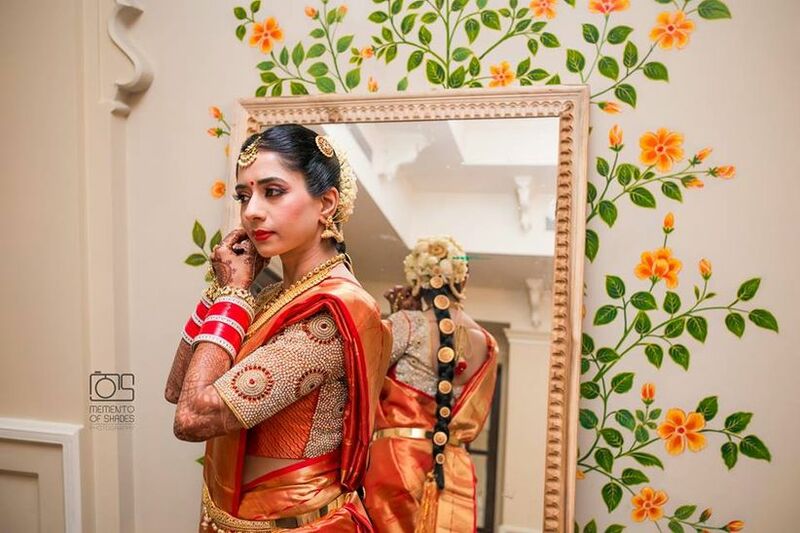 A long braid with flowers and gold hair accessories running all through the braid is one of the characteristic South Indian bridal hairstyles. 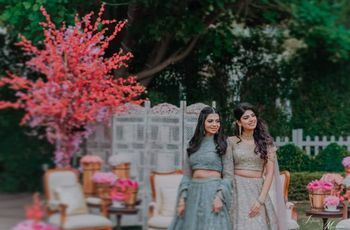 Wedding silk sarees like a rich Kanjeevaram saree, the opulent braid with flowers and gold and a stunning Maang Tikka is all you need to be a Southern Siren! It’s a classic yet extremely stylish and popular bridal hairstyle. Beautify the braid with a Poola Jada that can be encrusted with jewels and pearls to grace your any of your braided bridal hairstyles. This look is especially popular for wedding receptions. Curl the lower ends of your hair, sweep them to a side and create a slight puff of straightened hair on the top part and go retro. You can leave a curled flick loose on one side and keep the volume on the other. Add a Maang Tikka or even flowers to complete the look. Puff has made a solid comeback among bridal hairstyles because of its elegance and ability to give length to any square shaped face cut. 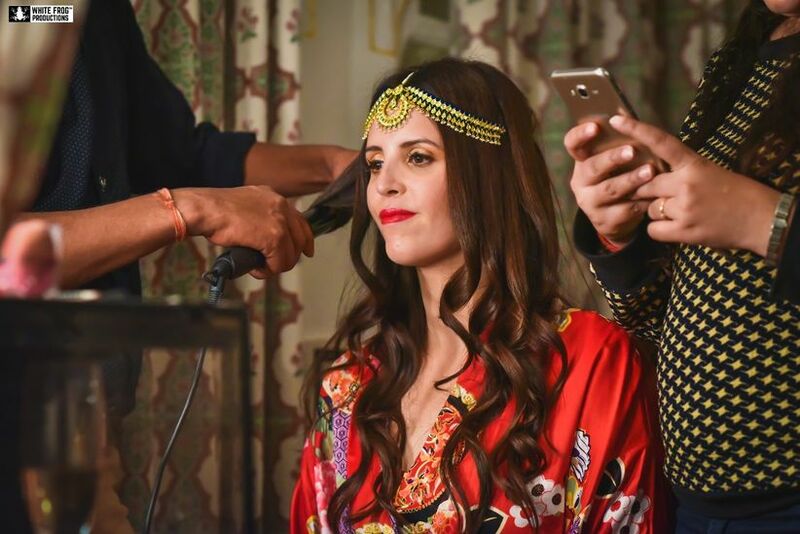 If you are a modern day bride who wants to make a young, carefree and stylish appearance just wash your hair, brush them dry and just add a hair accessory made of delicate chains. It’s new, it’s cool and definitely a stunning bridal hairstyle. Be it a pre- or post-wedding function or the wedding itself- this bridal hairstyle is perfect for the stylish bride. 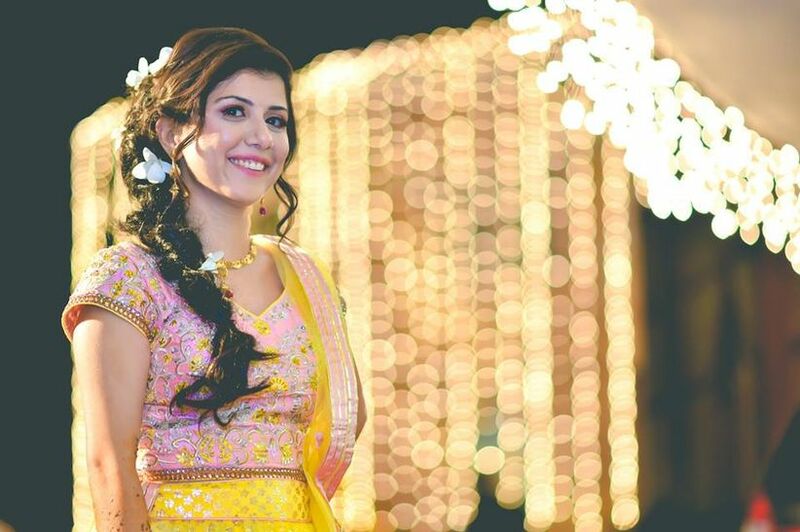 Sporting a Maang Tikka and Matha Patti with a millennial twist, we are in awe of this bride. You can flaunt your bridal hair accessories with your unique spin on them. For a touch of chicness, you can go for soft curls at the lower ends and let your hair run wild and free. 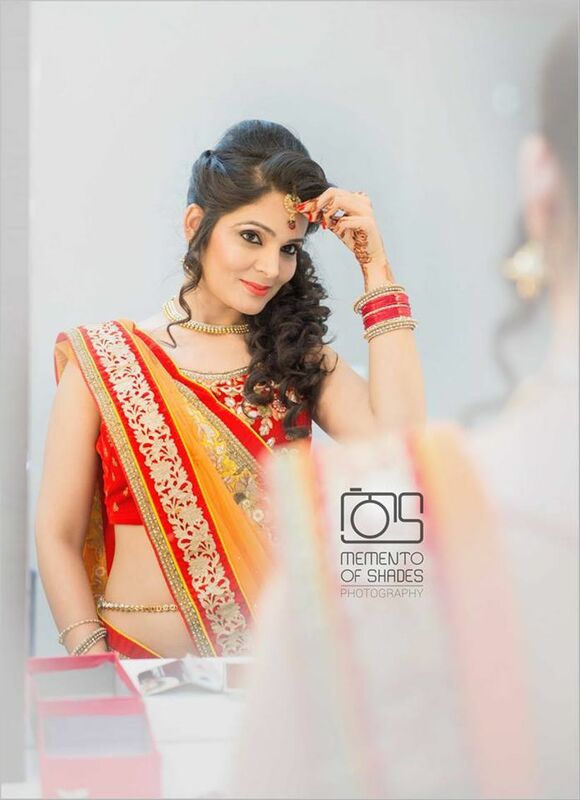 When choosing a bridal hairstyle always try it before the wedding and see how comfortable you are, how practical it is and whether it goes with your wedding lehenga and jewellery. 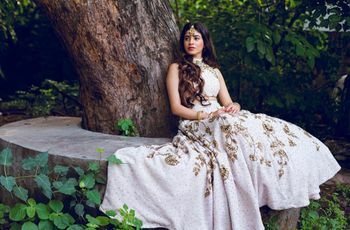 You should also start prepping your hair a few months before the wedding with deep nourishing to achieve that naturally healthy and voluminous look that will shine through all pictures your wedding photographer clicks. Taking good care of your hair will also involve aspects of your bridal diet and lifestyle. 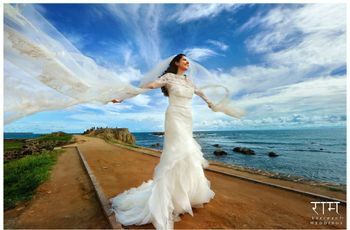 Account for all of these factors while finalising your bridal hairstyles for all the ceremonies. Which bridal hairstyle are you planning to flaunt for your big day?